Qualifications : First Class Master’s Degree in Engineering/Science with Ph.D with specialization in Water Resources/ Engineering/Hydraulic Engineering/ Hydrology or related fields from reputed Institutions. Experience: 15 years in a research/academic/R&D institution or organization, of which 10 years should be at a senior level provided that 5 years shall be in the grade of Senior Principal Scientist (PB-Rs.37400-67000, Grade Pay-8900) OR shall be presently holding the grade of Chief Scientist (PB-Rs.37400- 67000, Grade Pay-10000). Equivalent positions/grades in academic institutions/industry will also be considered. Experience should relate to river and hydraulic engineering, water resources planning, development and management. Experience of R&D administration and HRD in S&T Comprehensive understanding of the socio-economic correlates of water in· the country in general, and Kerala in particular. Qualifications : First Class Master’s Degree in Botany/ Plant Sciences or related fields with Ph.D in the concerned subject. 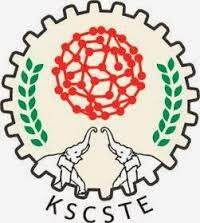 Applications, accompanied by detailed bio-data, copies of certificates and name of three referees, should reach the Member Secretary, Kerala State Council for Science, Technology and Environment, Sasthra Bhavan, Pattom P.O., Thiruvananthapuram 695 004, Kerala State on or before 10.01.2017.